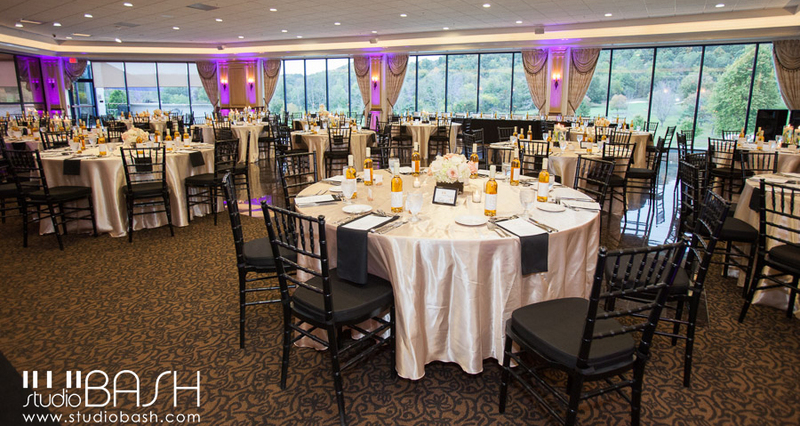 Shadow Lakes Grand Ballroom is surrounded in windows and offers a wonderful view of the golf course for each and every guest. The room is host to beautiful, timeless weddings and can accommodate up to 400 guests for events that require a dance floor. The room is decorated elegantly and what bride can resist entering the room from a grand staircase. The room can also be divided into two smaller ballrooms to accommodate celebrations such as birthdays, anniversaries and showers. Corporate functions are also perfectly suited for the ballroom. Whether classroom, auditorium or table seating's, the room can be made to accommodate 20 to 500 for presentations. All events, whether corporate or celebratory, are customized to the client's wishes and needs.